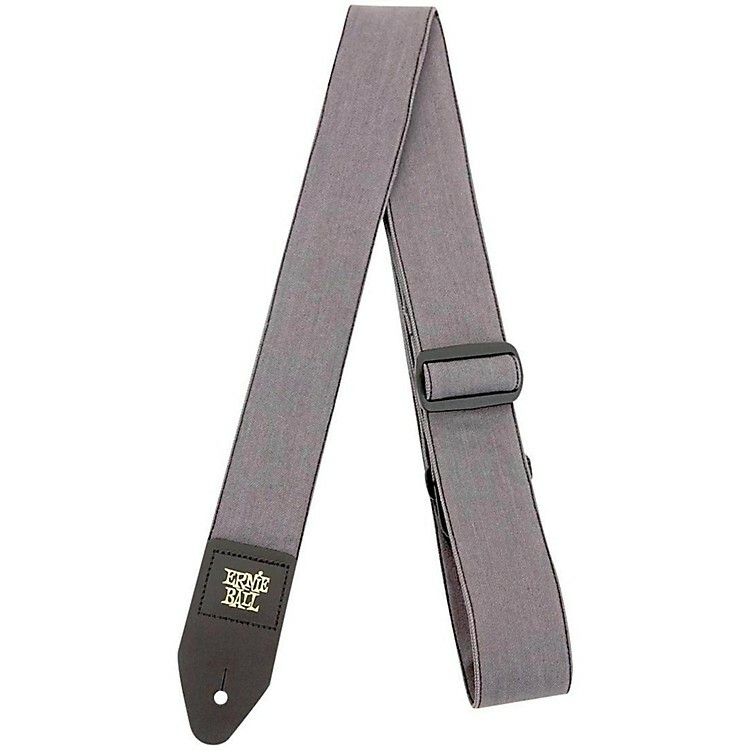 Ernie Ball Denim Guitar Strap Slate Wash 2 in. Built-to-last lengthy guitar strap with durable denim. Comfortable lightweight denim guitar strap now available in three stylish designs. Featuring embroidered leather ends with durable 2 denim material and reinforced backing of polypropylene webbing (Indigo rinse). Strap length measures 41 - 73 inches at total length.